Gorgeous home, a new pool to lounge by, woods to hunt in, and a shop just right for any project you can imagine - what more could you ask for? 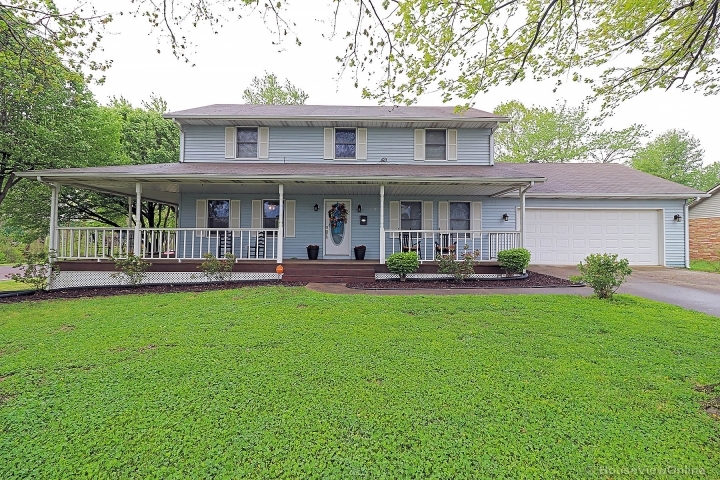 Maybe a picture-perfect front porch, big 11x30 private back deck and finished walkout basement! And that's just the start. 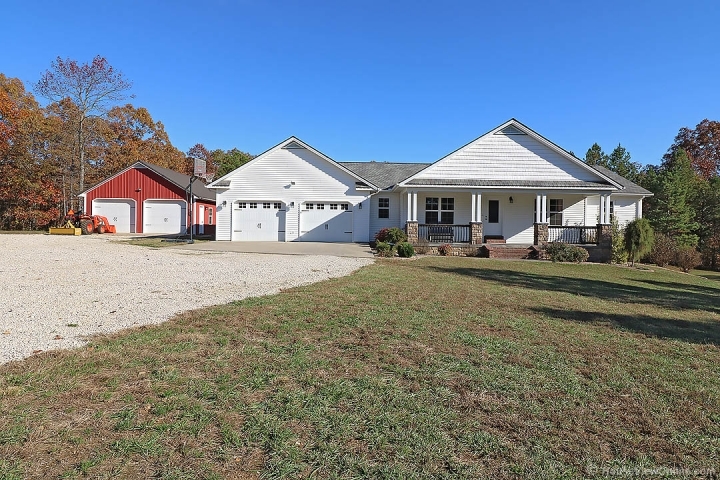 This custom built 4-bedroom home with a unique split floor plan home sits on 13.84 mostly wooded acres. You'll love the gas fireplace, vaulted living room ceiling and formal dining room. In the kitchen you'll find custom glazed pecan & hickory cabinets and island, SS appliances, & a built-in snack bar with a window above to enjoy the view. The curb appeal speaks volumes, with its stamped sidewalk and porch and stone columns. Your comfort is ensured with a Lennox duel-fuel heat pump for economic utilities and oversized 2-car attached garage. The 26'x36' detached shop has two 10'x8' overhead doors and electricity. Come see the best in country living!